The two major groups of permanent employment at the University are referred to as “SHRA ” and “EHRA. ” These two groups have additional sub-divisions. Job postings for all of the 17 constituent institutions of the University of North Carolina System, plus the UNC System Office. 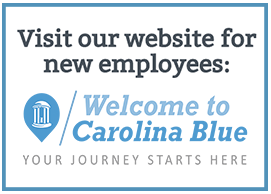 Job postings for the University affiliate that manages assets and investments for the UNC System and UNC-Chapel Hill, including the University’s affiliated endowments and foundations.